This month the Winter Olympics take place in Russia, where young people from all over the globe will show their stuff. It’s easy to watch them fly twenty feet above a half-pipe, smoothly land a triple lutz on ice or lean into the downhill Super G at 70 miles per hour as if they were born with it. It’s easy to forget how winding the path to the Olympics can be. In addition to a strong desire and ambition to succeed, young people who hope to compete in the Olympics must juggle friends and family, school, training and competing commitments to reach their goals. And don’t forget the support of their parents. Whether it’s the Olympics or otherwise, extraordinary goals often require that hopefuls step off the ordinary paths. In 1985, Halstrom Academy introduced Southern California families to a new, revolutionary concept: school with one-teacher to one-student class sizes and flexible class scheduling. Since then, Halstrom has helped thousands of students such as Olympic figure skater Sasha Cohen, and professional skateboarder Ryan Sheckler, both Orange County natives, achieve their educational goals. Today, a new generation of Olympic hopefuls are trusting Halstrom’s 1:1 formula in their “success” mix. 16-year-old Kamryn Coffey of Huntington Beach travels extensively for ice skating competitions and relies on Halstrom Academy to stay on track with her education. hours a day. She begins her days early, skating from 6:30 to 8:30am. Then it’s off to school at Halstrom Academy where she attends three days a week, then it’s back to the rink for another two to five more hours of training. In addition to a busy training schedule comes a hectic travel schedule for competition. “With my skating, I travel a lot,” said Kamryn. “Throughout the year, I go pretty much all over the country.” It’s a demanding schedule, but Kamryn loves it. She has been a competitive skater since the age of three and hopes to make it to the Olympics. Garrett Geane, age 18, grew up in Fullerton but is now living in Canada from September through April so he can play hockey with the Manitoba Junior Hockey League’s Steinbach Pistons. Like Kamryn, Garrett’s days begin early, with the morning skate. He then “attends” class for an hour each morning via Skype with his teachers at Halstrom Academy. After class he has time to complete homework before heading back to the rink for the afternoon practice. As his mother Jeanne Boyce puts it, “Garrett is having the most unbelievable time of his life. He works hard, but he’s getting to do what he loves.” Like other athletes who live away from home, Garrett lives with a “billet family.” These families offer room and board to amateur athletes under the age of 20 who leave home to join elite teams in other towns. Garrett’s parents visit him in Canada about once a month. 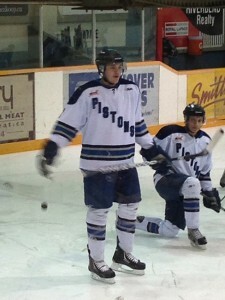 Remote learning has enabled hockey player Garrett Geane, 18, to play and train far from home and on his own schedule. 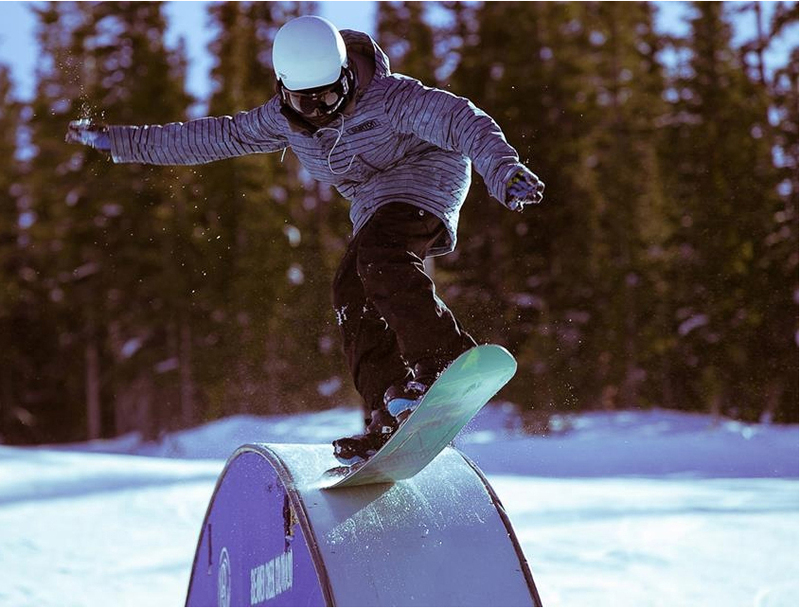 Jamie DeCesare, age 14 and competitive snow boarder, calls Southern California home but is living in Colorado this winter so he can train with his coach and compete. As a snowboarder, he trains seven days a week. He competes in four areas – snowboard cross, which is his favorite, as well as slalom, giant slalom and slope style. He’s also starting to train in half-pipe, which was something he wasn’t able to do in California. Because his training is so intensive during the winter months, Jamie takes advantage of Halstrom’s flexible scheduling by attending school in the summer and fall, and takes the winter off to focus solely on his sport. He will return to California in April, and will start his sophomore year in June. Jamie says he likes school a lot, and says he loves Halstrom because he really learns. The 1:1 teaching is great because he can move along at his pace, and not have to wait for other students in the class. And that’s a point that hits home for many parents. Not every Halstrom student is an Olympic hopeful, of course. Some are actors, some are artists and many are students who simply learn best in a one-to-one environment, where quality attention is paid to the unique needs of each person. Snowboarder Jamie DeCesare, 14, has a demanding schedule near and far as he prepares to qualify for the Olympics. Halstrom is accredited by the Western Association of Schools and Colleges. It offers more than 150 courses including AP courses and many that are U.C./C.S.U. certified and 96 NCAA approved. An in-depth college and career planning program prepares students for life beyond high school and has helped many students go on to prestigious universities. Halstrom offers year-round open enrollment at three Orange County campuses located in Anaheim Hills, Huntington Beach and Mission Viejo, as well as campuses throughout San Diego and Los Angeles counties. Halstrom classes are also available via webcam through an online program. If you think your student would thrive on a “road less traveled” with the support of a one-to-one teacher-student environment, visit halstromacademy.org.